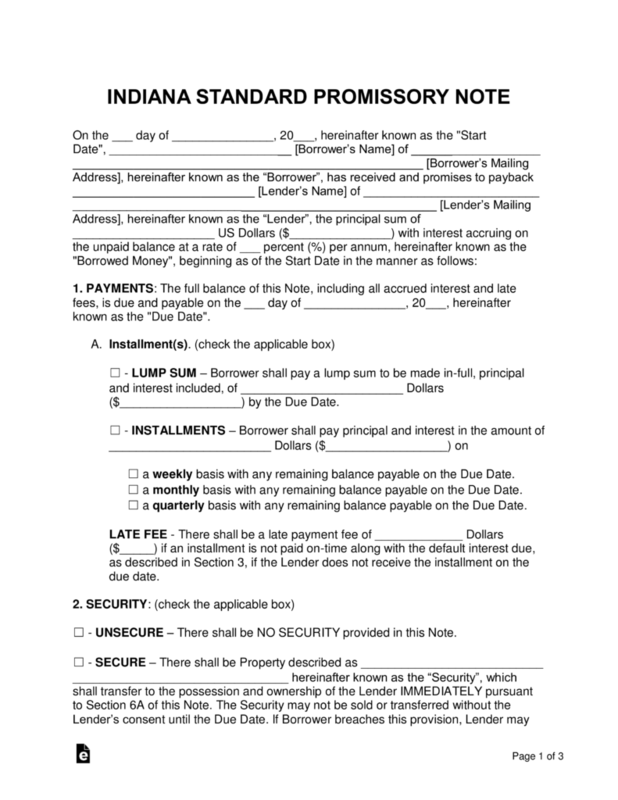 The Indiana promissory note templates are designed for a single party consisting of a lender and a borrower who would like to engage in the lending activity. The templates outline the amount being borrowed from the lender, various interest rates, the cost of late fees, and many other sections. 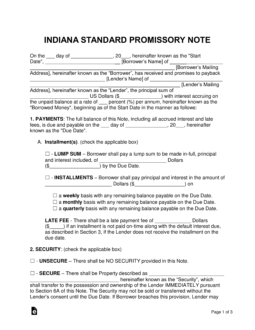 Secured Promissory Note – Covers payment types, fees, due dates, acceleration time periods, and other areas that help ensure legality and structure of the note. Includes security, which is an item(s) of the borrower that is guaranteed to the lender in the case of a default on the balance. Unsecured Promissory Note – Covers all the aspects of the secured version, but differs in the fact that there is no security embedded in the note. This is an added liability to the lender and means the lender should ensure the borrower is a trustworthy and capable individual before engaging in the transaction.